Where? Great Outdoors, Chatham St, Dublin 2. How do I book my place at the talk? 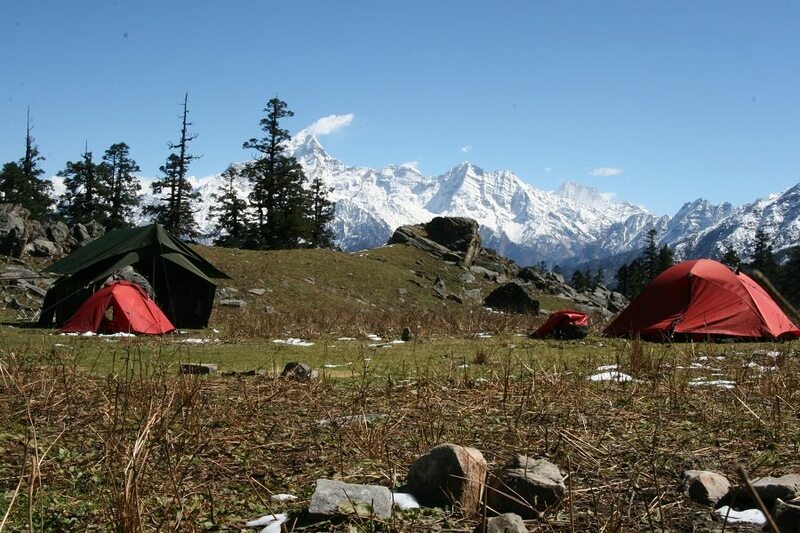 Trekking in the Himalayas should be high on everyone’s bucket list! Travelling to India in October, means Diwali is in full swing and the country is brimming with activity! 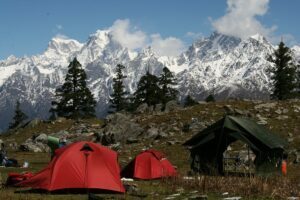 Our 12 day expedition includes six days of trekking in the Indian Himalayas in warm weather, with amazing scenery and plenty of time to completely immerse yourself in Indian culture. On this trek you have the opportunity to practice yoga every day, preparing your mind and body for the journey ahead. Each afternoon you may also join our talented cooks in the kitchen tent to learn how to cook authentic North Indian cuisine. One of the highlights of this route is reaching the Kuari Pass (3,840m) – your eyes will be drawn to the sweeping arc created by the incredible line-up of giant peaks: Chaukhamba (7,140m), Nilkantha (6,597m), Kamet (7,756m), Gauri Parbat (6,708m), Nanda Devi (7,817m), Bethartoli (6,352m) and Dunagiri (7,066m). Our trek takes place near the source of the Ganges, a river with vast religious and cultural significance in India. Bathing in its waters is said to wash away not just physical impurities but symbolic ones as well; which you will get to test on the last day when you have the opportunity to go white-water rafting! We also have time to explore Rishikesh, renowned as a centre for studying yoga and meditation. Join us in store next Tuesday night for this free info talk from Earth’s Edge, Ireland’s only fully licensed adventure travel company. To see the full itinerary click here. Get On The Water This Summer With Red Paddle Co!